Your customers have gone mobile, and if you want to business to grow and scale by more than 300%, so should you. With the Mobile App Maker custom real estate app, empower your customers with a best-of-breed real estate app that works on all OS platforms. Gone are the days when customers would run from one broker’s office to another. They can now hunt for properties on mobile apps based on their specific criteria to find that perfect home, from the comfort of their homes. Boost sales by at least 250% by allowing the customer to browse properties from anytime-anywhere. Your IT team also gets full control over the real estate app, which empowers them to bridge the gap between business and customer. Customers can use the geolocation feature to find properties and amenities based on geographical locations, integrate with Google Maps to provide directions. With the integration of new technologies like Virtual Reality and Augmented Reality, customers can get a live view of properties via the mobile app. 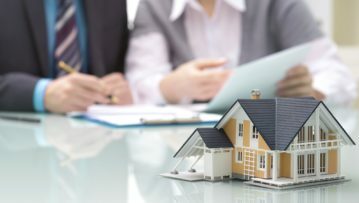 Customers can discuss with other customers and have conversations on particular properties, construction quality, builder reputation and such. Real estate agents and agencies can update property details, create and track meetings, content such as images and videos, and send notifications. Apart from regular business, the app can open new avenues of income sources with paid subscriptions and in-app advertisements. The Mobile App Maker offers to fill app lifecycle maintenance – from development to deployment to post-deployment – with updates, security, bug-fixing and 24*7 customer support. Create an ecosystem where developers, brokers, and customers are on the same page. The custom apps are developed based on feedback from the business, and post-changes can be made based on customer feedback. Offers features like photos, property layout, videos and virtual tours to increase business value.